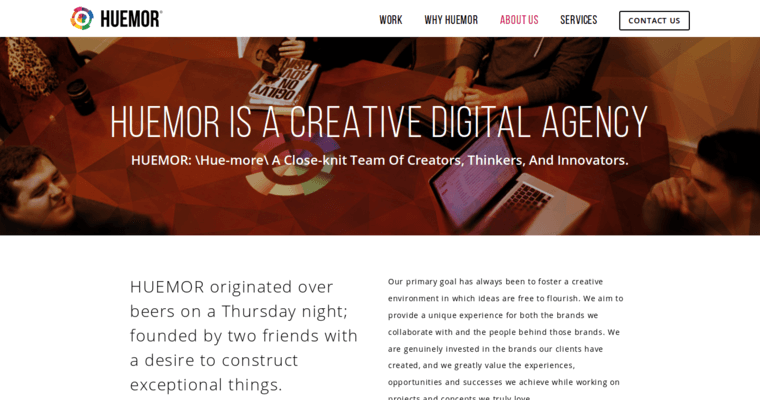 Huemor Designs is a Web design and development company that offers many more services than their competitors, including a wide selection of Web and mobile platform development, content management systems and e-commerce solutions. They focus on responsive software design, bringing their clients' businesses into the new digital era. The new direction of the Internet is to build responsive software that adapts to users' habits, and Huemor Designs specializes in designing user-friendly, dynamic CMS websites with some of the Web's best shopping cart services. They also offer mobile and browser-based game design, interactive digital art, database integration and cross-platform application development. All of these services would be ineffective without the understanding of client needs and the needs of their clients' customers. With responsive app development, Huemor gives clients the tools they need to impress their current customers and pique the interest of new customers, and with organic marketing strategies, they ensure that new and old customers remain satisfied.